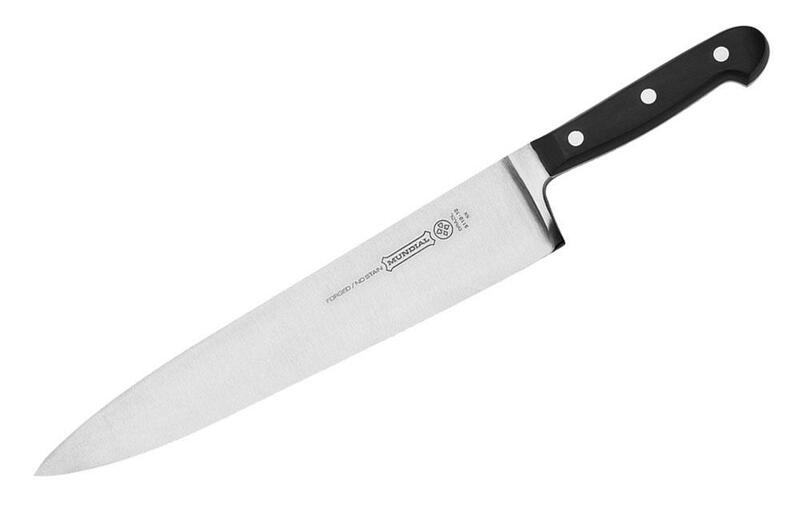 It’s not just any knife, it’s a Mundial 5100 series 10-inch Chef’s knife to be precise. I first discovered this knife after I spent some time researching the market, looking for my next purchase. I thought maybe 10-inches was too long, but no, the blade length is perfect. I’m a home cook and I like to prepare all of my food in the comfort of my own kitchen. I use this knife for chopping, mincing, slicing and dicing a lot of my food. I can always depend on the Mundial 5100, which is why it is my favourite knife. The forging process is very valuable to knife users such as cooks and chefs. Mundial took note of this and developed a manufacturing process that utilises innovative technology alongside old-world traditional and expertise. Forging a knife is a simple process, first the steel material is heated to a very high temperature. This provides the conditions necessary to shape it into a blade. Next is a heating and cooling process, before a special technique called grounding is used to create the full taper to the cutting edge. You might not understand the process, but if you do, respect it! Because that is the sole process that makes this knife great. Thanks to fully forging the knife in the manufacturing process the knife has a range of benefits. Such as increased balance and control, increased durability and tensile strength along with a lasting sharpness. In other words, you can cut in confidence with this knife in your hands. You won’t have to worry about replacing this knife anytime soon as it is tough and in it for the long run! After forging the knife, it’s time to craft it and produce that ultra-sharpness. The grind and polishing process helps to achieve this precise sharpness from tip to bolster. 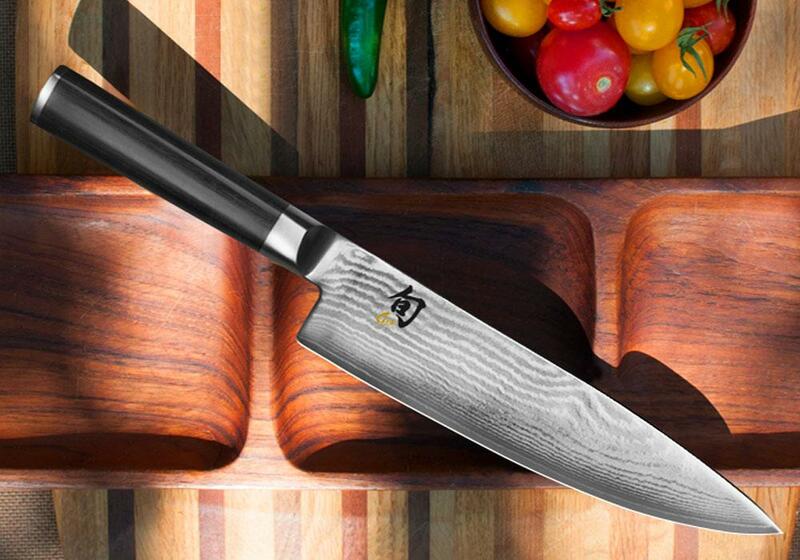 Sharpness is the key feature of any knife, it determines the foods that it can take on. Well, with this knife you can tackle all of those tough meats and vegetables. Don’t be scared of ruining this knife with the big foods, it is designed to slice and chop through them and it will do exactly that. With a blade of 10 inches this knife has few limits, it has a range of abilities from slicing vegetables, to chopping meats and mincing herbs. While sharpness does play a big part in these practices, it is not the only important aspect of the knife. In fact, the handle is a big factor in any knife. Handles are responsible for a lot of factors, such as comfort, control and balance of the entire knife, so it should not be overlooked. Of course Mundial took no shortcuts with this and created an incredibly-balanced, 3-riveted polyacetal handle, accompanied by full tangs. You can grab this knife with a firm grip and be in control and at all times, this superior handle gives you the confidence to slice, dice and chop away. 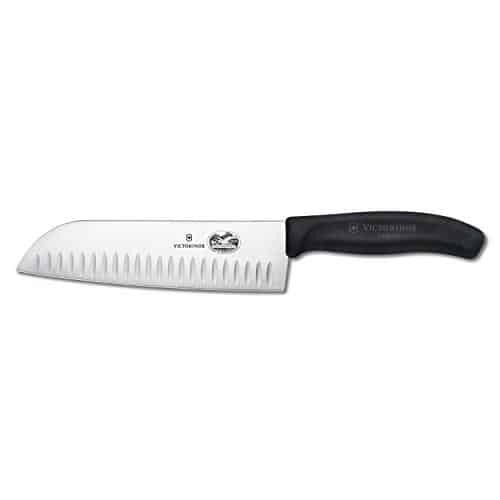 This knife scores a 4.5 out of 5 stars, picking up just over 40 customer reviews. The majority of users are happy with their purchase and left brilliant reviews. Users are specifically happy with the length of the 10 inch blade. What’s great is you can pick this knife up for a reasonable price. 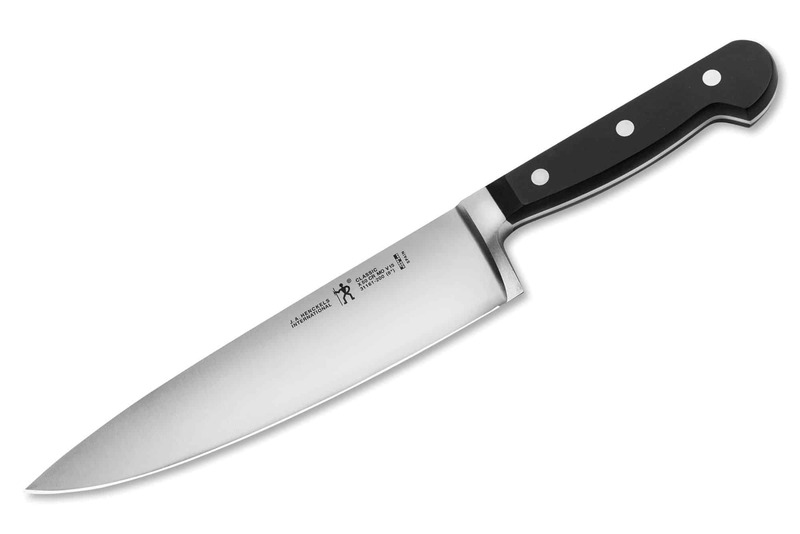 Remember, it is quite unique in its blade length, but it still provides the great features you would expect from any chef’s knife. If you are on the market for a new knife I would highly recommend this Mundial model. The great thing about this knife is, it gets all the basics right. A great handle, and an exceptionally sharp blade, which is most important. Be sure to take a look!